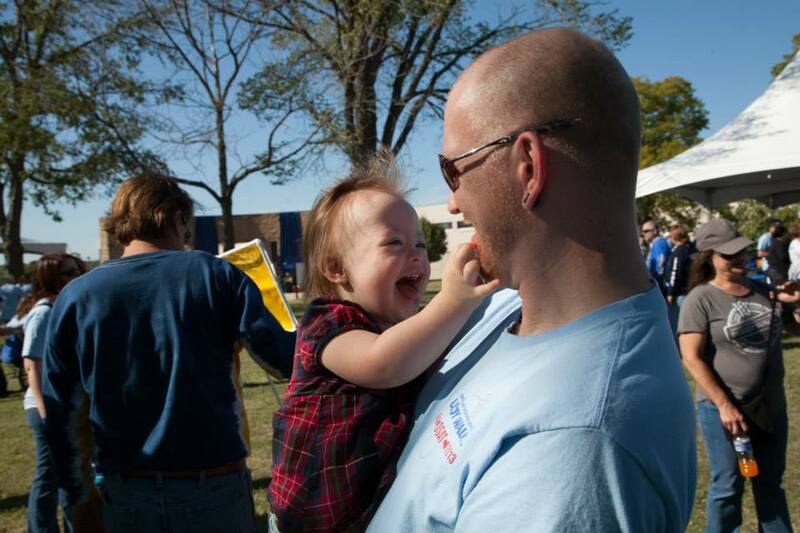 Every year, one of the biggest fundraisers for Down syndrome awareness is held- The Buddy Walk. Teams are formed, money is raised and everyone comes to together to walk around a small track- all in the name of the one they love and support, who has Down syndrome. 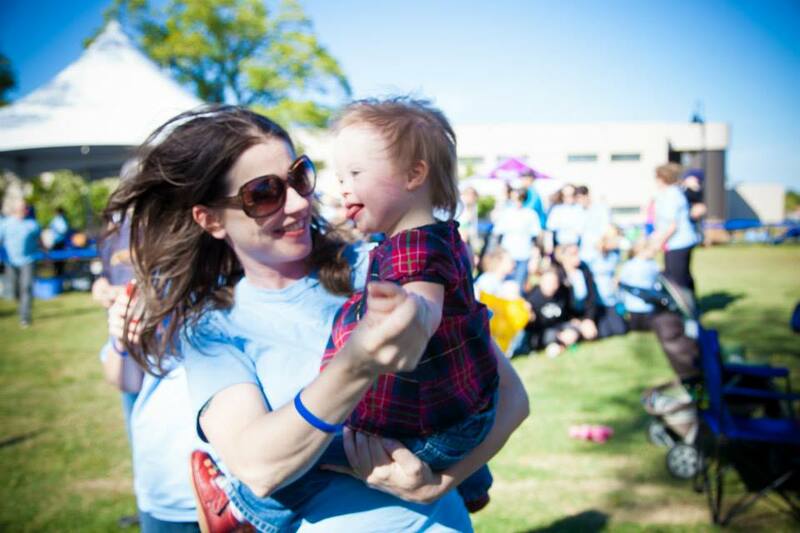 Before Lily I had never heard of the Buddy Walk. Now it is an event I both look forward to and dread. Our team, The Lily Lu Whos is filled with some of the most amazing and inspiring people I know. Ranging from close family to friends both old and new, a whole bunch of people drop everything for one afternoon and focus all of their energy and attention on one very special little girl. As the mother of that little girl, it makes my heart soar that so many have so much love for her. 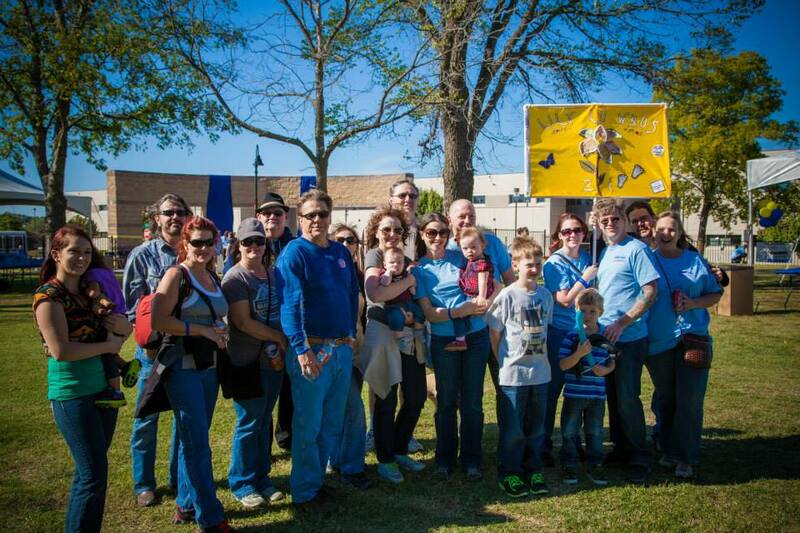 At this years’ Buddy Walk, I was an organized disaster but managed to get us there with our flag flying high (or trying to sail away when the wind hit it!) As I took a moment to soak up how many people showed up for us and glanced at each of their smiling faces, I felt so very blessed…..and so very sad. For me, Buddy Walk is also a glaring reminder that Lily has a disablilty. 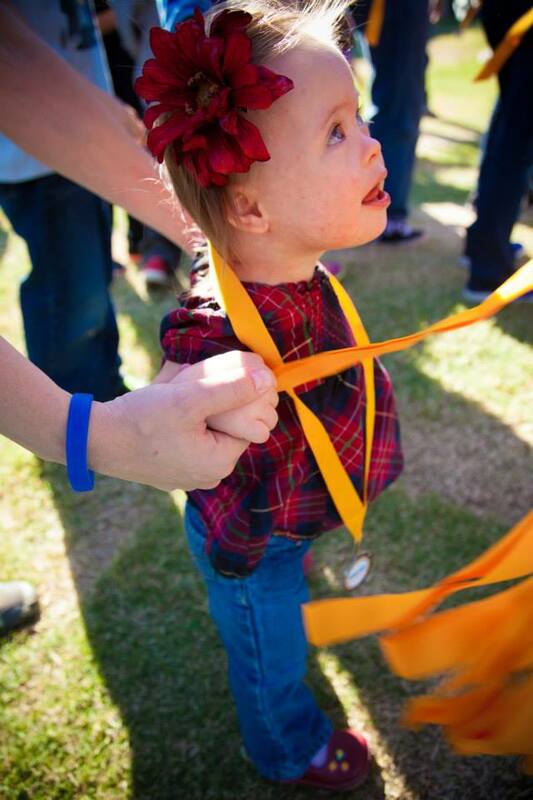 A disability that will alter the course of her life in a less than glamerous way. Getting lost in your child’s every day triumphs and discoveries makes for placing the uncertain future and struggles far from your mind somewhat easy. As Lily edges further and further away from being a baby, she also grows miles and miles behind her peers. Her delays are becoming more apparant and although she will catch up on her motor skills, I know that this is just the beginning. 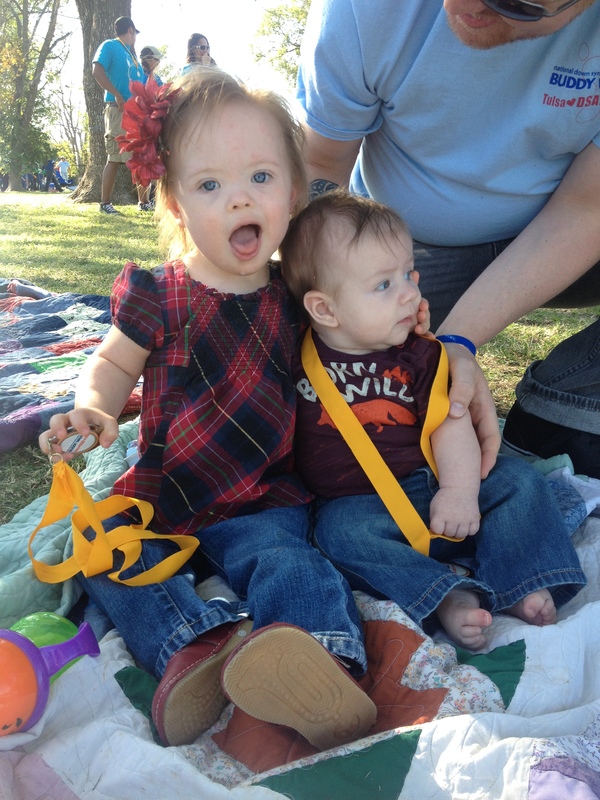 When you first learn that your child has Down syndrome, you hear the words, “high functioning” and “low functioning”. I understand this to be in reference to intelligence. Doctors and genetists cannot predict whether or not your child will be high or low functioning. When Lily was an infant I would look into her eyes and see a sparkling soul filled with a wisdom I knew nothing of but was certain I could learn. As I gaze into her eyes now, I see intelligence. I see cleverness. I see a connection with the world around her. But do I see high or low functioning? I don’t know. My own eagerness to learn has begun to be pocketed with worry. In searching for clarity in my muddled thoughts, I realize, I am afraid. I am afraid of low functioning. What will that be like? I am afraid of high functioning. What will that mean? I know that regardless of high and low cognitive abilities, school will be hard (at least for me). Things I was once feeling so secure about I can no longer grasp. 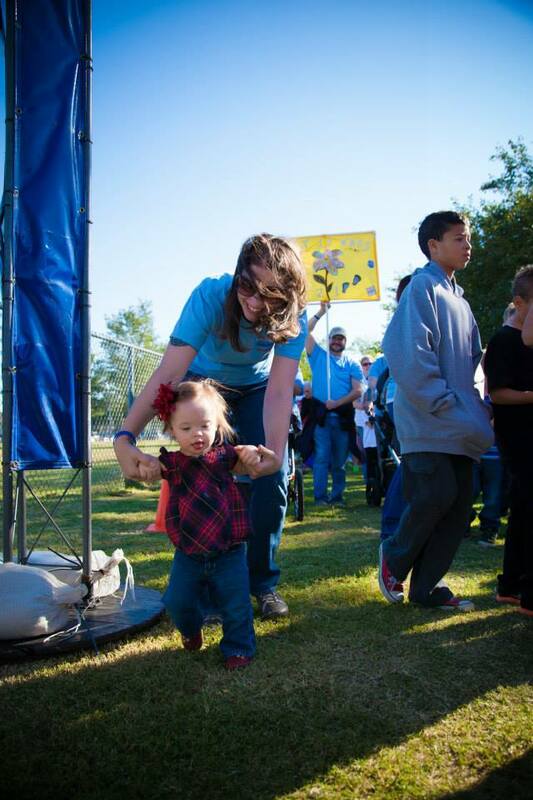 Buddy Walk for me, is a little like skipping happily along…in mud. There is so much joy and celebration with family and friends, food and fun but there is also a heavy reality waiting in the near future. 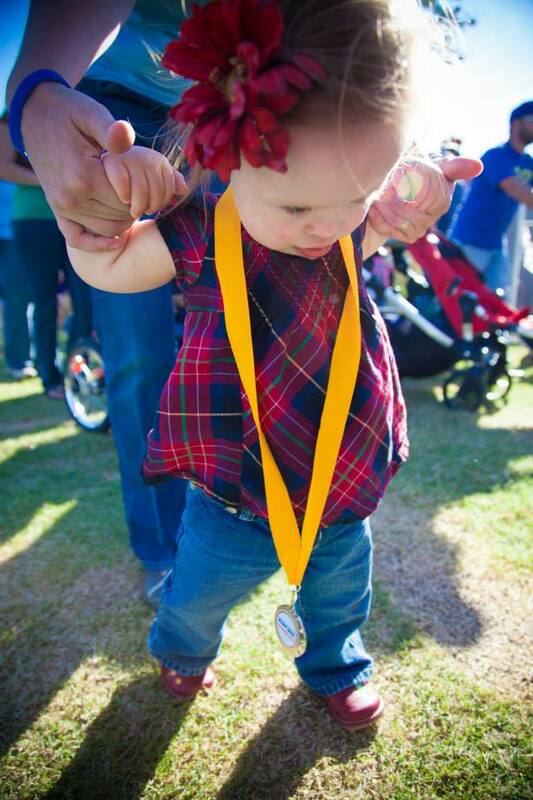 Today my daughter walked through the finish line for the very first time and received her medal. As I helped her across, tears flooded my eyes. She was so proud of herself. She walked with pride and joy and although she still needed my help to do it, she beamed with accomplishment. Her team cheering her on, she walked until her legs grew tired. As we all took turns scooping her up and lavishing her with affection, I took a look around. There were cheerleaders cheering , Ronald McDonald handing out medals, hundreds of people cheering and clapping and exclaiming good job! I couldn’t help but wonder what happens when Lily gets too old for all of this exaggerated fanfare? Alas, I cannot skip to the end of this book to search for a reassuring sentence that will alleviate my own anxiety … nor would I want to so carelessly rush through the chapters of Lily’s book. We are on a journey together and although there are more and more times I find myself afraid, I never want to miss a moment. 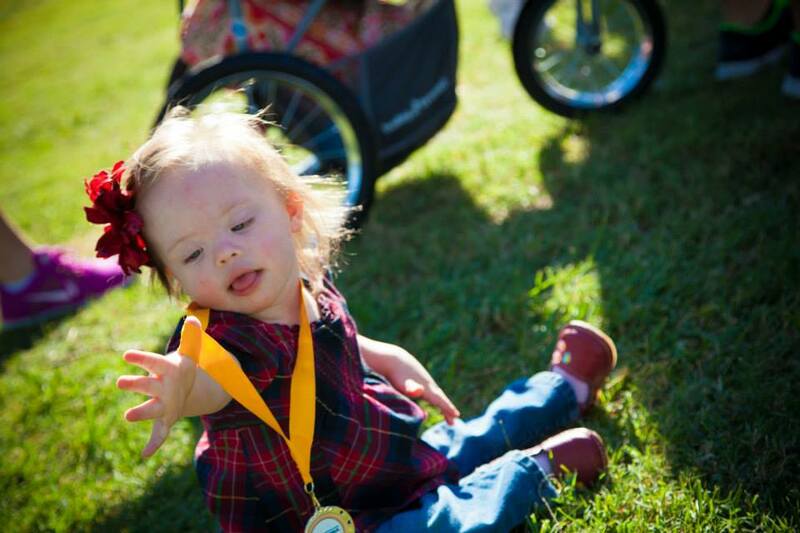 This entry was posted in Down Syndrome Awareness Month, Lily's Land of Oz and tagged Buddy Walk, Conditions and Diseases, Down syndrome, Genetic Disorders, Health, Love, National Down Syndrome Society, Organizations, Ronald McDonald, Support. Bookmark the permalink. ← DSAM Day 20: Don’t Eat That! It Might be Poison! You & I are often in the same zone, with our little ones so close in age. I, too, find more fears cropping up these days. We arrived so late at the Buddy Walk that we didn’t even walk. When I got home and started seeing pics of our friends WALKING across the finish… it made me even more sad. Walking is a major strength for Spencer! It would have been awesome to get a photo of him like that.